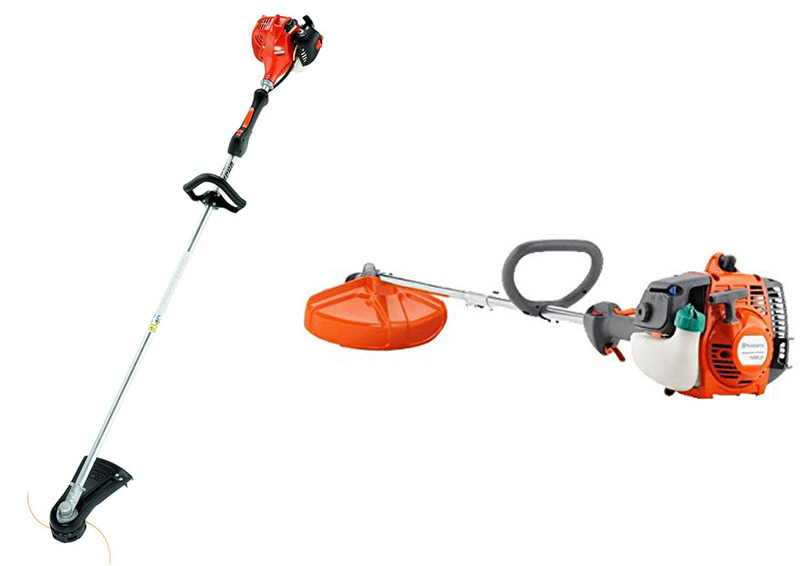 Echo SRM vs Husqvarna 128LD are two string trimmers available in a similar price range. 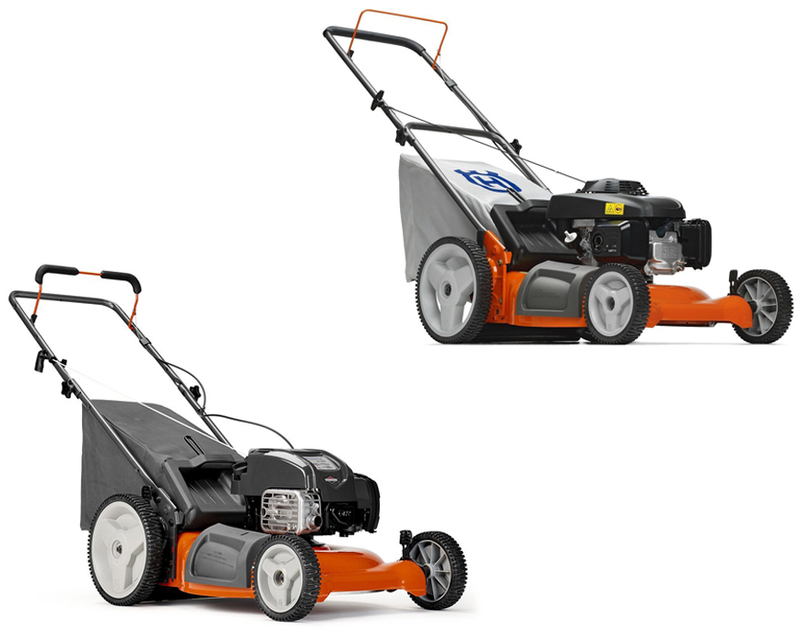 Both of the two models are popular among weekend yard warriors as well as lawn care professionals. They offer great cutting power, good portability, and minimal maintenance requirements. So, which string trimmer is actually better? Find out by reading the detailed comparison below! If you prefer straight string trimmers more than other models due to the conventional, easy to use design, Echo SRM 225 can be an excellent solution for you. 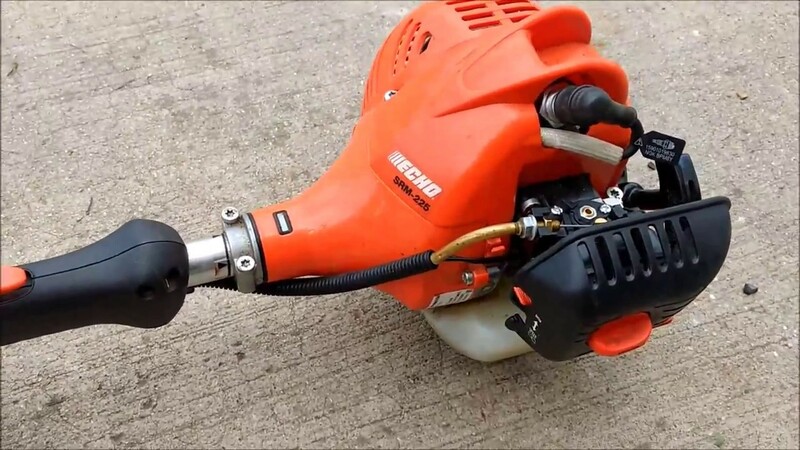 Echo SRM 225 is a two-stroke 21.2 cc gas-powered trimmer with a straight shaft. It is quite affordable, and it comes with three very beneficial features that make it a must-have garden tool: the 59-inch long straight shaft, the automated rewinding reel feed, and the simplified starter cord. Echo SRM 225 arrives pre-assembled. It has a healthy cord length, so you probably do not have to get a replacement to start using the unit. Your first impression of Echo SRM 225 vs Husqvarna 128LD gas trimmer may be of a typical conventional string trimmer that comes with shiny plastic parts. This unit weighs only about 12 pounds. It is quite light, especially if you consider the fact that it has a tank capacity of 14.9 oz. As the effect, Echo SRM 225 is a truly nimble yet powerful trimmer. This unit weighs only about 12 pounds. Echo SRM 225 is a truly nimble yet powerful trimmer. One of the reasons why straight-shaft trimmers are often preferred is because the design allows you to keep a constant cut height easily. Hence, you can work with better cleanliness, and matching curb regions with the rest of the lawn becomes a piece of cake. The shaft measures 59 inches from the top to bottom. It should be more than enough for just about any lawn. The auto rewind reel reload is especially convenient because it removes the need to open the casing of the unit for a reload. In other words, it is very simple and easy to use. Starting the unit only takes a single pull. At first, you may think that the company is exaggerating when they say that Echo SRM 225 requires thirty percent of the usual force needed to turn on. However, after using it for a few weeks, you will commend the company’s efforts in bringing such a useful technology. Traditional models often require multiple pulls to start, while Echo SRM 225 starts very easily. The secret behind the incredibly easy start of Echo SRM 225 is the proprietary Echo I-30 mechanism. According to the company, the Echo I-30 starter requires 30% less of the effort to start. As the effect, the unit that uses this technology can start right on the first pull. It does not have any complicated thing to handle, and it takes zero preparation time. The secret behind the incredibly easy start of Echo SRM 225 is the proprietary Echo I-30 mechanism. According to the company, the Echo I-30 starter requires 30% less of the effort to start. Perhaps one of the greatest features of Echo SRM 225 is the vibration reduction system. This feature is meant to reduce the fatigue on the user’s hands while working and increase the handling comfort. This feature dampens the vibration that comes from the motor and blade so that the shaft does not vibrate as much. The vibration reduction system is truly beneficial. If you compare Echo SRM 225 to other string trimmers of similar power, you will find that Echo SRM 225 is significantly less fatiguing so that you can operate continuously for a longer period of time. Combined with the lightweight design, this allows you to take care of heavy-duty tasks with ease. The Echo SRM 225 string trimmer comes armed with a powerful two-stroke engine that ensures an outstanding performance. Besides being so powerful, this tool is also very lightweight. So, you can easily maneuver it even in the most difficult places, such as hillsides, ditches, or other areas that are difficult to reach. Echo SRM 225 comes with two different warranties for different types of user. For most home owners and weekend lawn warriors, it is the 5-year consumer warranty that goes into effect. This is great. Meanwhile, for professional lawn mawers who use the unit for commercial purposes, the 2-year commercial warranty applies. The commercial warranty is shorter because the unit is used more rigorously. Truth to be told, Echo SRM 225 brings lots of power into your hands. With the 21.2 cc two-stroke Vortex engine, the string trimmer can easily cut through any kind of weed, even the toughest grass strain, hence giving you consistently clean cuts. Maintaining an ideal condition for your lawn or garden becomes a breeze. With the 21.2 cc two-stroke Vortex engine, the string trimmer can easily cut through any kind of weed, even the toughest grass strain, hence giving you consistently clean cuts. And Echo SRM 225 is very practical to operate. It has a bump feed which maintains a constant length of reel before it runs out. Reloading and opening the cutting head can be done quickly, thanks to the design of the trimmer head which reloads in seconds without any disassembly. Echo SRM 225’s long, straight shaft becomes incredibly handy when you need to access some areas where shorter models simply cannot reach. Hence, this string trimmer is very versatile, able to perform in all environments. The Husqvarna 128LD String Trimmer may not be the most lightweight commercial weed eater in the market, this model is still a lot lighter than most other competitors in its class – Echo SRM 225 included. 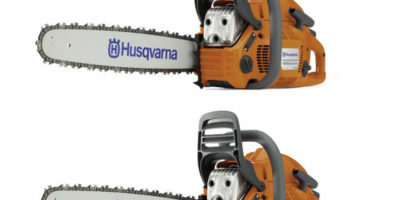 When choosing between Echo SRM 225 vs Husqvarna 128LD, note that the Husqvarna is even lighter at just 10.8 pounds. With such a weight, this weed eater is light enough for an average adult to operate. You can continuously work the entire duration of the trimming job without having to stop halfway for rest. This model is still a lot lighter than most other competitors in its class – Echo SRM 225 included. The Husqvarna is even lighter at just 10.8 pounds. Nevertheless, it may take you a few days to master the machine properly. There are some features that you need to get to know first. After that, though, you will find that Husqvarna 128LD is extremely easy to control. The construction is made of very strong, durable materials, meaning that it will serve you for long years without breaking or requiring expensive repairs. Besides, it comes with a solid manufacturer warranty. The superior performance of Husqvarna 128LD is guaranteed by its 17-inch cutting width. The wide cutting width will allow you to finish the job a little faster. It allows you to trim a considerable amount of space in a short time. 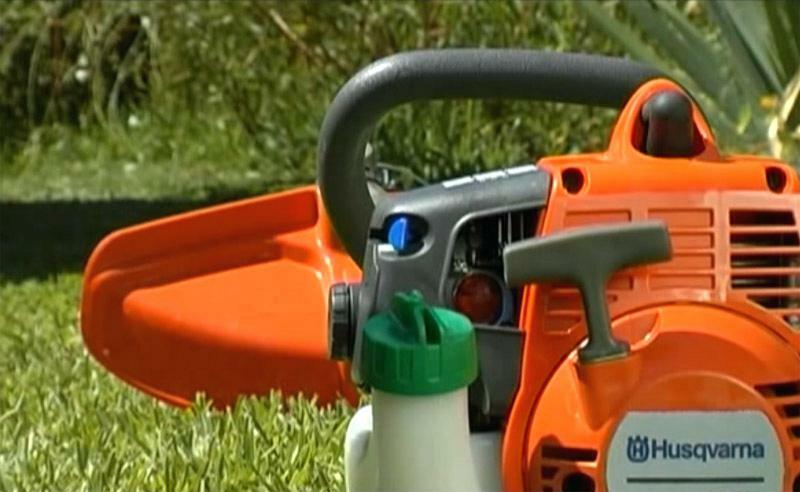 Plus, the machine uses a 0.095 diameter trimming line, which is effective for removing overgrown grass in a blink. One of the most impressive features when choosing between Echo SRM 225 vs Husqvarna 128LD is the Smart Start technology. Note that all Husqvarna trimmers come with this feature. Similar to the starting mechanism on the Echo unit, the Smart Start technology of Husqvarna 128LD lets you start the machine very easily and quickly. Unlike other models that need a lot of effort to start, Husqvarna 128LD will not fail – even in the worst environmental conditions. As expected from a gas unit, Husqvarna 128LD offers plenty of power. You will not encounter any tangling, bogging down, or binding of lines, not even in heavy weeds. It is easy to start, and it runs smoothly. One subtle yet very nice feature is that the power switch automatically resets to the ON position for easy and quick starting. Similar to the starting mechanism on the Echo unit, the Smart Start technology of Husqvarna 128LD lets you start the machine very easily and quickly. This string trimmer uses a bump feed to advance the line. It works without any problem. Many users have also praised Husqvarna 128LD for the quick and easy process in the disassembly when you want to change the spool and change the line. Although Husqvarna 128LD does not come with a built-in edger adjustment, when turned upside-down, it can be used for edging quite well. And you can actually get the edger extension if you are going to use it often. With the edger extension, the unit becomes more convenient to use and will produce a cleaner edge. Now, the attachments. The shaft of Husqvarna 128LD accepts various add-ons, such as the blower, pole saw, hedge trimmer, cultivator, and the previously mentioned edger. Many users love the attachments very much, as they widen the versatility of the unit. The users report that the Husqvarna attachments work great, and the switching is very easy. Husqvarna 128LD comes with a 3-year manufacturer warranty for the parts and labor. However, note that the warranty does not cover the carburetor after thirty days since the purchase date. You should also pay attention carefully to the fuel. You should never run gasoline with ethanol in Husqvarna 128LD. The combination of gasoline and ethanol will quickly kill the carburetor, and it will also void the entire warranty. So, you should not use the gasoline from your local station. You must buy pre-mix gasoline which does not have ethanol. Such pre-mix gasoline usually contains a stabilizer. Note that you can pay a few more bucks to upgrade the warranty. Since February 2013, the company has allowed their customers to extend the warranty from 2 or 3 years to 4 years by buying the protection plan. Husqvarna 128LD is fitted with a 28 cc two-stroke engine. This trimmer is optimized for heavy-duty performance. The engine generates 1 HP of power, which is sufficiently powerful to tame even the most bush-like lawn in no time. Just like most gas-powered trimmers, Husqvarna 128LD uses 100% gasoline – which you need to mix with oil before operating. You can just buy pre-mixed gas, which is more convenient. The 28 cc engine is designed to perform with lower emission and lower fuel consumption levels. Unlike most two-stroke engines, this Husqvarna unit is significantly quieter. You will not need any earplugs when operating the machine. And just like all gas-powered trimmers, this Husqvarna unit is much more powerful compared to corded and electric models. Husqvarna 128LD is fitted with a 28 cc two-stroke engine. The engine generates 1 HP of power, which is sufficiently powerful to tame even the most bush-like lawn in no time. However, the weight is still on a solid level. It is suitable even for older people. You can equip a nice shoulder strap for easy carrying, but the unit itself is so lightweight. The balance is very nice as well; it is not overly heavy on one side or the other. Hence, navigating the unit becomes a breeze. The assembly is very easy and straightforward, it doesn’t take a lot of time. You just need to attach the guard, put the shaft parts together, and finally tighten the clamp. Unfortunately, a few users have reported some kind of defect with the parts when joining the shaft. But you can just claim a warranty if you notice a defective part. The construction of the Husqvarna 128LD unit is very sturdy and durable. Even after three seasons, users say that they can’t find significant signs of wear. If you are looking for a capable and durable heavy-duty trimmer, Husqvarna 128LD is just for you. All in all, between Echo SRM 225 vs Husqvarna 128LD, we recommend you to choose Husqvarna 128LD. Both products are great, but Husqvarna 128LD holds more advantages. Just like the competitor, it has an easy start mechanism. However, it also comes with useful attachments that widen the functionality and versatility. It also has a more powerful engine. The warranty, while shorter than the Echo’s consumer warranty, is actually longer than the Echo’s commercial warranty, making it an ideal choice for professional lawn mawers.